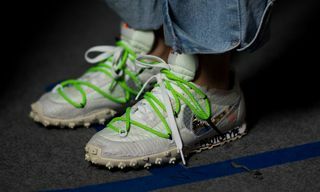 After offering a backstage look at the sneakers on show at OFF-WHITE’s Paris Fashion Week FW19 runway show, Highsnobiety can now share the footwear models exclusively available for preorder at the brand’s Paris pop-up space. 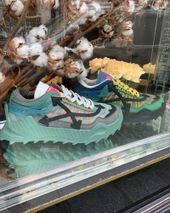 The pop-up, called “Floral Shop” and decorated as such, is open from today, January 17, to January 29 at the Hôtel Costes in Paris. 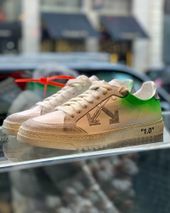 Alongside the sneaker preorders, customers can also purchase various bouquets of flowers in OFF-WHITE packaging and check out pieces from Virgil Abloh’s new eponymous jewelry line. 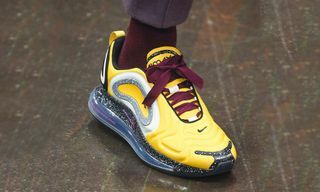 The jewelry is on display only but available for purchase on request. 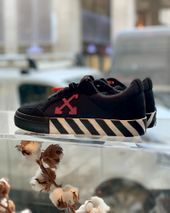 The highlight among the sneaker offering is Abloh’s brand new ODYS-1000 sneaker. 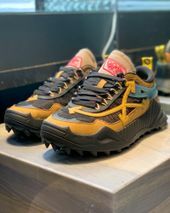 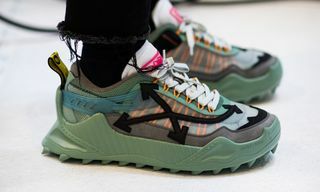 The bulky silhouette was teased by Abloh on Instagram earlier this week and borrows heavily from the hiking and trail sneaker trend. 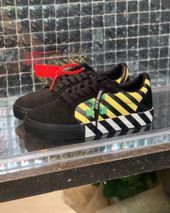 Other sneakers on show include various colorways of OFF-WHITE’s new “Vulcanized” and “2.0” models. 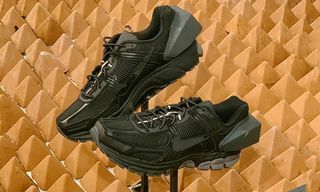 Both are low top sneakers that utilize a mix of canvas, leather, and suede panels atop rubber outsoles. 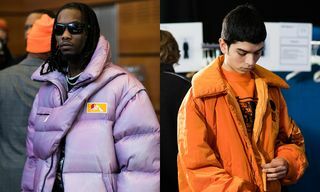 Each of the three styles come in a number of colorways and are (for now) exclusive to the pop-up.